BSc (Hons) BA (Hons) MCSP SRP. Talia graduated from the University of Birmingham with a degree in Sport, Physical Education and Community Studies and went on to gain a First Class Degree, with Honours, in Physiotherapy from the University of Hertfordshire in 2012. Having worked for the NHS and various private clinics, Talia has a wealth of knowledge and experience in a wide range of conditions, including age-related conditions and post-operative orthopaedic rehabilitation. Talia completed her Foundation training in Acupuncture with ALIED and regularly updates her knowledge and skills by attending courses and lectures given by consultants relating to her field of work in physiotherapy. Talia has an approved Disclosure and Barring Service (DBS) check. Katie graduated from the University of Birmingham with a First Class Degree, with Honours, in Physiotherapy in 2017. Katie is currently working in the NHS alongside working for On The Go Physio. Katie has experience treating age-related and musculoskeletal conditions. Whilst working within the NHS, Katie receives weekly training to keep her knowledge and practice updated. 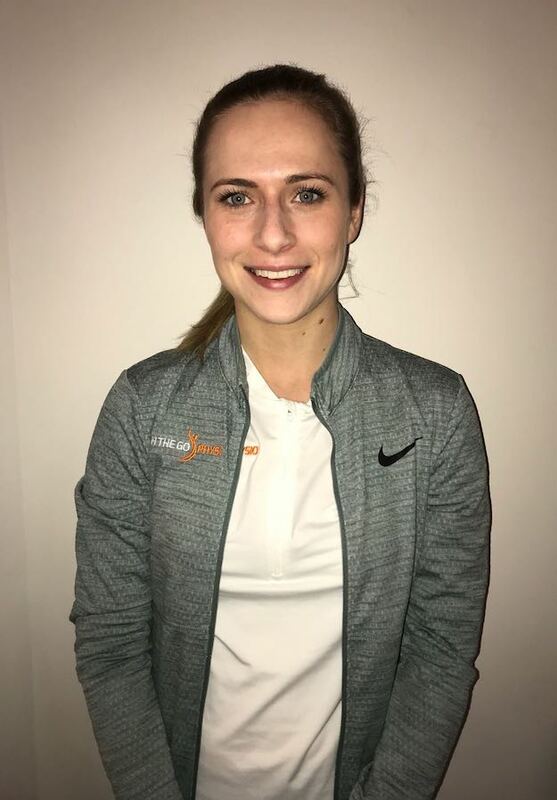 Katie has completed a Level 3 Diploma in Sports Massage and has an approved Disclosure and Barring Service (DBS) check. When not treating patients, Katie enjoys going to the gym, cooking and spending time with friends and family.